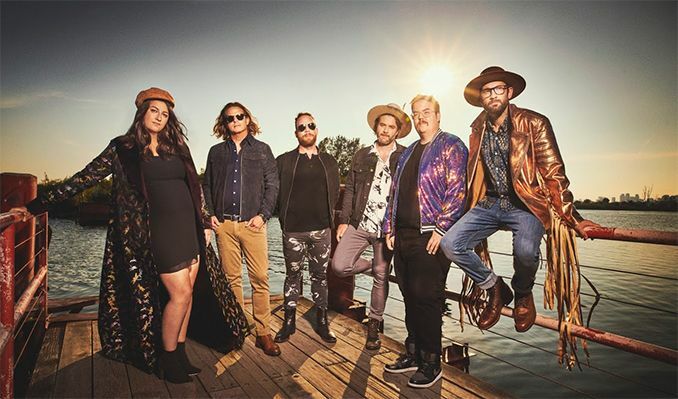 "Salvation," produced by Tim Pagnotta (Elle King, Walk the Moon), is a decidedly notable pivot towards pop for The Strumbellas, which describes itself as a primarily "country, folky band." But they also explain that they're "pop music junkies," and that their catalog has been edging towards an increasingly accessible sound from the start. "Our whole dream has been to make cool, small-town Canadian music with just a fun, poppy feeling," says Ward. "Every record we do, we get closer to that. 'Salvation' is exactly what we wanted to do, what we were hoping to get out of this song and record: fun, poppy songs that are sad and weird."